Every one of our translations is performed by a technical expert. A chemist will translate a material safety data sheet. An electrical engineer will translate product packaging for computer chips. FDA submissions are handled by qualified professionals. Your translations are handled by technical and linguistic experts who understand your needs and your industry. The pinnacle of quality and suitable for any translation need. This final form™ level is submission-ready featuring human translation, an edit by a technical editor, formatting per original, proofreading and our 54-step QA process. This rough draft level is ideal when you need something quick yet intelligible. Technical translations can also begin here. Includes translation by a machine with editing and visual enhancement by a human. This scan level is ideal when you are looking for the gist of the content in the document or scanning for key phrases. Machine translation requires extractable text and is not upgradeable to other levels. Website localization and translation we can provide you with a translation of your website in Word format. At no extra charge and as a time-saving service to you, Phoenix Translations offers free patent retrieval with patent translation. This means that you only need to e-mail us the patent number with your request for a quote or translation. Phoenix Translations will then obtain the patent (including hard-to-find patents) and proceed with your request. We can also send you the electronic copy of the foreign language patent. At Phoenix Translations, we also offer corporate-wide patent duplication monitoring, which ensures that a patent that may have already been translated for an employee of your company is not translated again; we will just send you a copy of the original patent translation at no extra charge. We determine the needs of the client and the entire scope of the project. We assess where Phoenix Translations fits into the client’s project flow. Our Project Manager maintains contact with the client to determine “real” deadlines (this is very important since some projects require a large amount of set-up time, while others need more time as project completion nears). After overall project scoping, we then work with our Translator Coordinator on translator deadlines, our Business Manager on estimated man-hours, and finalization of requested quotes and deadlines. Manages resources for Phoenix Translations- this includes all personnel assigned to work on the project, as well as any necessary additional planning. Assists the Translator Coordinator in selecting, scheduling, and managing the translation team. Keeps detailed records of every aspect of the project. Develops internal deadlines regarding project work flow to ensure that our client’s deadline is met. Reports daily and/or weekly to the client’s Project Manager as required an open line of communication is critical to project success. Ensures delivery of the translation to our client. Meets all deadlines, within approved budget constraints. Phoenix Translations offers free notarized certifications for all of our translations, if requested at time of translation. We are delighted to announce the addition of our newest service, LQA, Linguistic Quality Assurance. How do you guarantee complete linguistic integrity? Does your translation say what you intended, including subtle nuances? Is the grammar correct? Is the spelling correct? Is it complete? LQA is the answers for you. Just send us your translation together with the source file, and our team of professional, native-speaking, technical translators will verify your translation or, if necessary, modify it to match your source file. Another method of LQA is a “back translation”. By performing a “back translation”, (please refer to BackTranslation.pdf for an excellent article on back translation), we will be able to reconcile your source file with your back translated file by adjusting your target language file. Visual Quality Assurance – one more way that Phoenix Translations can contribute to your QA program. Even if you do not require our expert translation service, let us be the final check before your collateral goes to market. Our VQA service will confirm that your documents include all text, figures and diagrams, formatted correctly, that your logos and trademarks conform to your standards, and that bookmarks, contents tables, indexes and page reference links function properly. VQA is performed with a fast turnaround and at a very reasonable cost. Our VQA service can be a stand-alone service, or combined with our LQA service for a comprehensive quality assurance program. 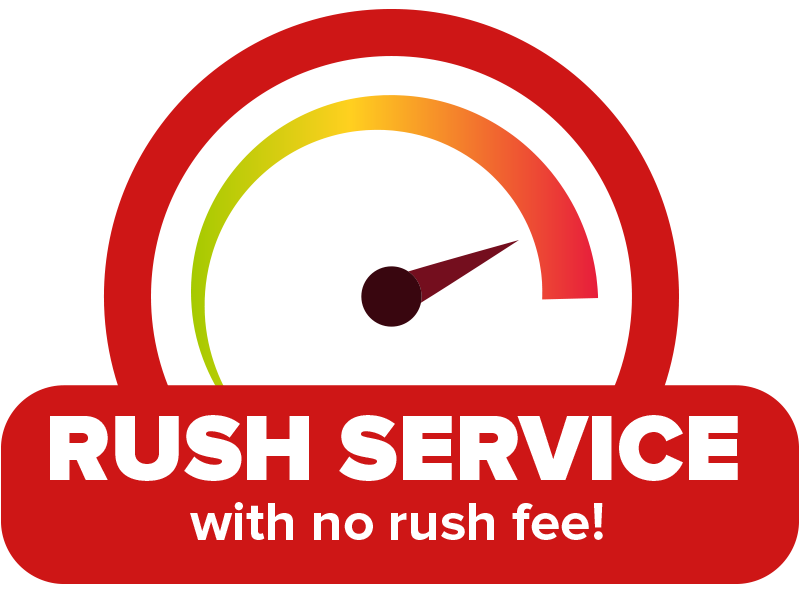 Rushes happen!Â It is the nature of the beast.Â Phoenix Translations does not believe you or your client should be penalized by having a last minute translation need.Â And, without rush fees, your translation budget will stretch farther.